After nearly a year in the making, Savages debut album Silence Yourself dropped this month, and it pretty much lived up to the hype. Rock ‘n’ roll’s best bands have a style that justifies the sound, but this group looks so incredibly cool you want to be a part of them, or at least buy into them. It’s been a while since we’ve had a British female rock group that reminds us how fantastically timeless the post-punk sound remains. 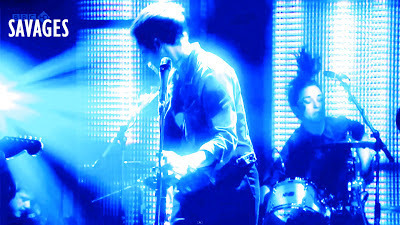 Savages will never be about music videos; always channelling live performance at the core of its sonic identity. With that in mind, this clip they recorded for the BBC earlier this year perfectly captures why there is genuine hope these girls may become a classic Great British rock export .